Ed Edwards and Timothy Edwards were born into very different worlds. Ed grew up on the family farm-sheltered, loved, and encouraged to build his life on the foundation of Christ. Tim grew up in the ghetto with abusive parents; he made his own way through illegal channels. Yet, after the breakout of World War II, these two very different men were drawn together as enlisted soldiers. They meet on a troop ship, headed for Ireland. They become close as suffering prisoners at an enemy POW camp. Yet, Ed's faith in Christ soon leads to Tim's dismissal. Tim thinks it's all a bunch of bull, and following the war, they both return home-separate and changed men. Fast forward-the young men have grown old, both in their eighties. Ed and Tim pass away; Ed wakes up in heaven, and Tim wakes up ... elsewhere. Ed meets an angel by the name of Asher who shows him around his new home. Tim meets a demon who shows him what life will be like in hell. 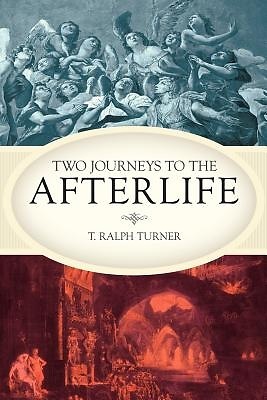 Two Journeys to the Afterlife is not meant as a threat. It does not point the finger and foretell eternal fire. Instead, it gives a real-and scripturally based-look at a life separated from Christ and the difference the Savior makes in eternity.